Missouri Education Watchdog: Common Core is a Taboo Subject for this School Board. Fight Back. "Take Back Our Schools"
Common Core is a Taboo Subject for this School Board. Fight Back. "Take Back Our Schools"
Paris RII MO School District refuses to talk Common Core. Why? Where can residents go to get answers? The Missouri Coalition Against Common Core is sponsoring three state-wide meetings about Common Core in October. 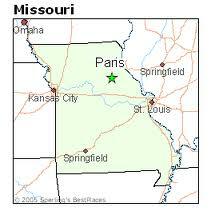 Conferences will be held October 5 in Kansas City, October 20 (Sunday) in St. Louis and October 26 in Springfield. Registration information can be found here. The theme is "Take Back Our Schools". Read the following letters below and you will understand why you need to attend the conferences and learn how to reclaim power from tone-deaf school boards and superintendents. From: 9-12 We the People of Monroe Co. Mo. We are requesting a special session, or meeting, regarding Common Core Content Standards to be held before November 2013. Three minutes is not nearly enough time to express our concerns of these standards. We would appreciate an opportunity to present facts concerning this program and have an open discussion concerning how adopting these standards will impact our students in Paris RII. We also are asking that parents, teachers and the public be invited to this special meeting. We feel the taxpayers and parents have been taken out of the decisions in adopting this new teaching system. No vote was taken by congress or the public. 1. Have you seen an analysis of the differences between the CC standards and standards previously guiding education in out state and or our district? 2. Did you ask for data that validate the claims of CC proponents? 3. What consequences are there for a school district that chooses not to adopt/implement CC? 4. Can our district give alternative tests and still be rated highly by the state Dept. of Education? 5. What options will we have two+years after the first few assessments are done, and our scores are still low, to change the standards or tests? 6. Has anyone done a life-cycle cost analysis for the technology necessary to comply with CC assessments? 7. Is the district able to fund this with current revenue? 8. Will the district comply with future DESE requests to collect Personally Identifiable Individual data on students? 9. Do you plan to let parents know before they begin collecting any new data points? Can parents opt out? Do these questions sound reasonable to you? The taxpayers want to understand the process and ramifications of the Common Core adoption and implementation. After all, taxpayer dollars and children are being used in this educational reform. First, I want to thank you for taking time out of your schedule to address the School Board. While we appreciate your concern regarding the Common Core State Standards and the desire to hold a meeting regarding them, on the behalf of the Board we respectfully decline. Come to the Missouri conferences. Learn how to fight the arrogance of elected officials who refuse to meet with taxpayers requesting answers to valid educational concerns. Learn the proper role of superintendents. They work for the school boards. The school boards employ superintendents and school board members should welcome to opportunity to speak to their constituents about educational decisions affecting their wallets and children. For those who want to learn more about Common Core, student data collection and what they can do to reclaim local authority over education.